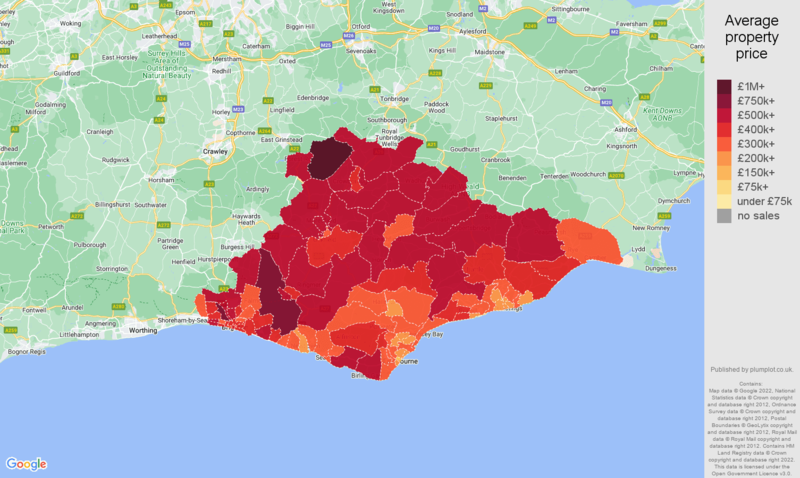 East-Sussex house prices in maps and graphs. 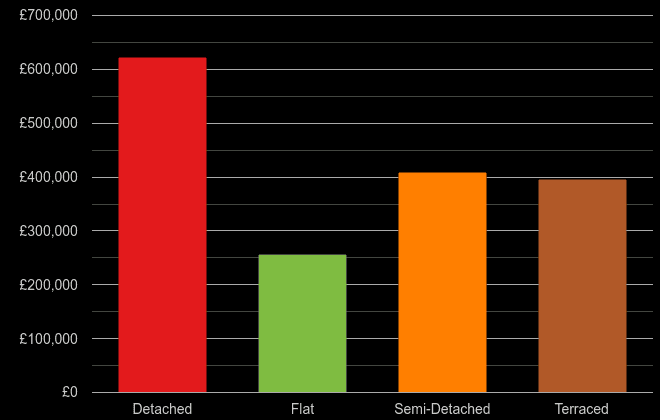 shows the average property price in a given postcode sector between March 2018 - February 2019. 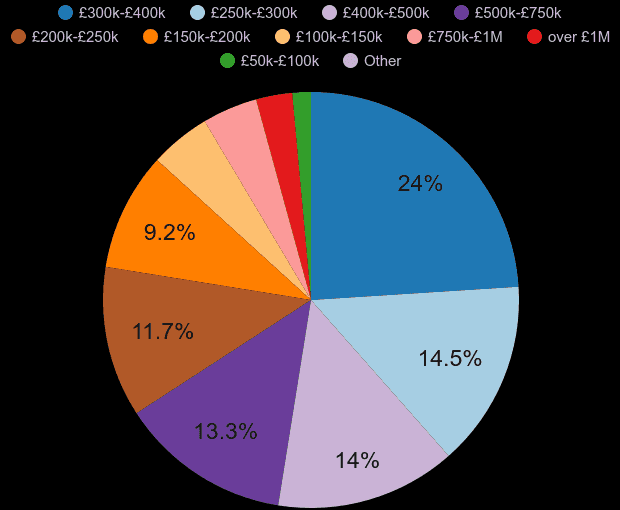 The most affordable place was 'BN21 3' with the average price of £175k. 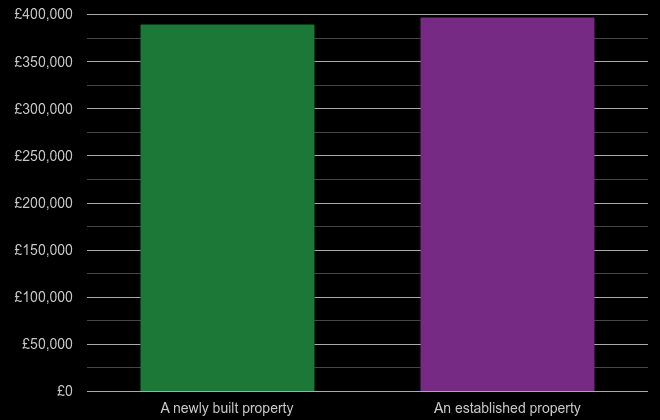 The most expensive place was 'BN20 0', £676k. 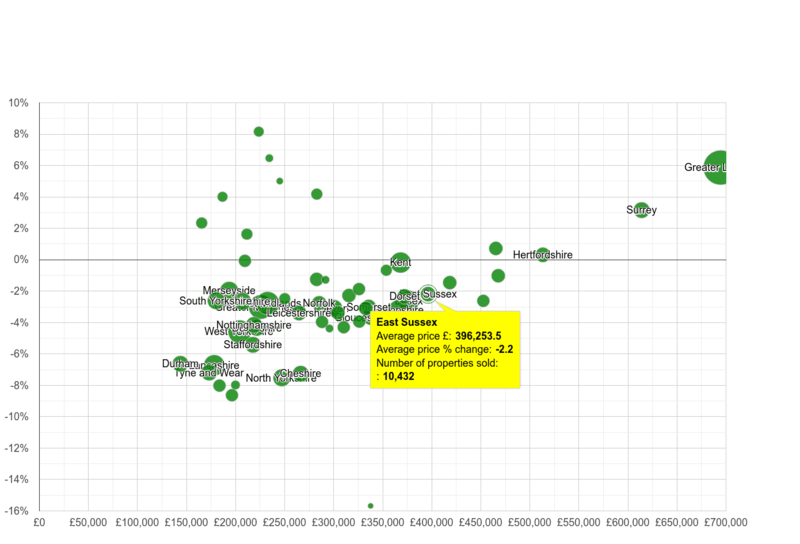 With the average price of £344k, East Sussex is the 9. most pricey county out of 55 England and Wales' counties.